Shukra Homa/Havan is done to appease the planet Venus. It's worship strengthens benefic Venus & increases its positive influence and pacifies malefic effects of the planet & neutralizes its negative effect. Planet Venus rules wind and phlegm in its disposition, and indicates the south-east direction. Venus also rules over the seminal fluid in the body, and indicates venereal disease, eye disease, diseases of the urinary system and the intestines. Malefic venus can cause problems and diseases related to this , which can be mitigated by worship and homa of Shukra . 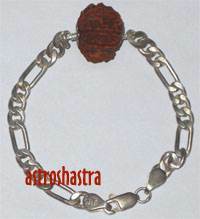 The ahutis are given by chanting Shukra Mantras and the things which are dear to planet venus. As far as its physical attributes are concerned, Venus has a lovely appearance with well-proportioned limbs, dark brown complexion, dark curly hair and beautiful eyes. It has long arms, broad chest, excessive seminal fluid and a highly amorous disposition. It is fond of writing poetry and is endowed with grace, wisdom, intelligence and scriptural knowledge. Prayer are done to Lord Shukra for his blessings and let help us in every walk of life. Venus Homam is recommended for those having malefic Venus or wrongly placed Venus as per horoscope, even in the mahadasa of venus. The planets are to propitiated against their evil influences, to ward off them, the Shukra Homa is done with faith to ward off all evils of Venus as per the horoscope.